Visit Prela Castello during your stay in Liguria, Italy. Prela Castello is endowed with stunning diversity. Visitors who love to delve in history are well advised to visit the fascinating and well-maintained parish church dating back to the 12th century. The ruins of the castle from the Middle Ages are also a definite must to see. Chapels from antique times and the small, medieval village centre offer unique charm. Those who love discovering unique things can visit the old olive mills and the numerous hiking and cycling paths round the village. Nature lovers too will get their money’s worth in Prela Castello. Whoever prefers to relax and have a swim in the sea can do so easily because Liguria‘s coastal resorts are just a few minutes away by car. There is always something for every visitor to this place. Prela Castello is a small village in the municipality of Imperia. The village has roots in antique times and was already settled by people right from early times. During the early Middle Ages Prela Castello became part of the municipality of Imperia’s provincial capital. Because of its strategically favourable location, a defence facility was erected in Prela Castello, which was supposed to protect the village from raids by pirates and other enemies. 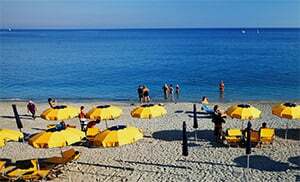 Prela Castello belongs to the municipality of Dolcedo and is one of the villages in the province of Imperia which lies in the Liguria region. There are several other villages near Prela Castello, and they include: Pantasina (2.5 km), Pianavia (0.9 km) and Vasia (2.9 km). When coming from Genoa, take the highway exit to Imperia Ovest. Drive along Colla Street and the SP40 up to Prela Castello.